Because there is so much information to gather about the Wied family I thought it would be great to give the Wieds an own topic! 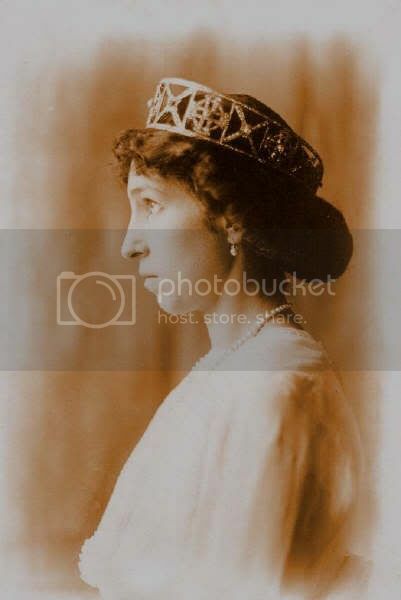 After the Grandduchess Sophie of Sachsen-Weimar,néé Princess of The Netherlands died in 1897,"Marietje"was the only surviving member of the Orange-Nassaus,besides TM Queen Emma and Queen Wilhelmina,ofcourse. 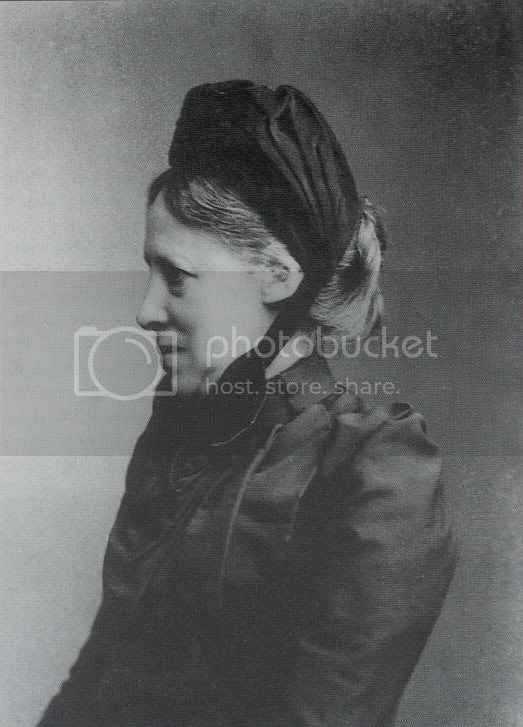 Daughter of Prince Frederik and Princess Louise,néé of Prussia(a dominating,impossible character),granddaughter of King Willem I,she was to engage at the age of 28,considered quite old at that time.Once deemed a possible match for the Prince of Wales,but the poor lady was turned down.Later,as Fürstin Marie and her husband visited Vicky,Crown Princess at that time,she wrote her darling mama:"she had never seen two such ugly people before,and allthough she personally liked Marietje of The Netherlands very much,she could well imagine why her brother(dirty Bertie)had turned her down". There was extensive contact by letters,and visits vice versa,between the Wieds and Queen Emma and her daughter Wilhelmina. 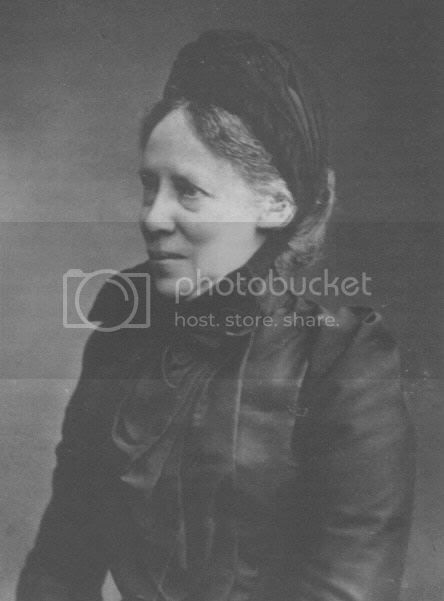 Fürstin Marie of Wied was born on July 5th 1841 at "De Pauw" in Wassenaar.Quite a modest person,impregnated that duty always came first,she grew up lonely.Both her brothers Willem and Frederik had died young and her only sister Louise married the Crown Prince of Norway and Sweden in 1850,Marie was 9. 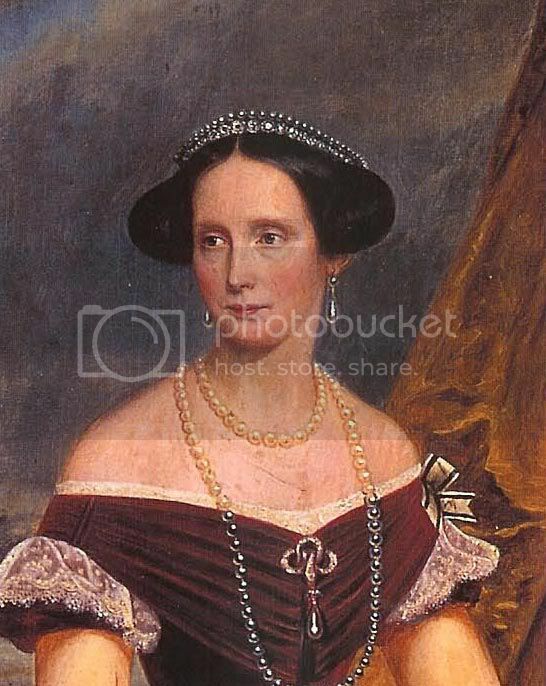 Her mother was the dominating(and quite impossible)Louise of Prussia,so Marie's younger years were unhappy most of the time.It proved almost impossible to find a suitor for her as she wasn't exactly blessed with good looks,but also developed a hearing disability since childhood,she was nearly deaf. 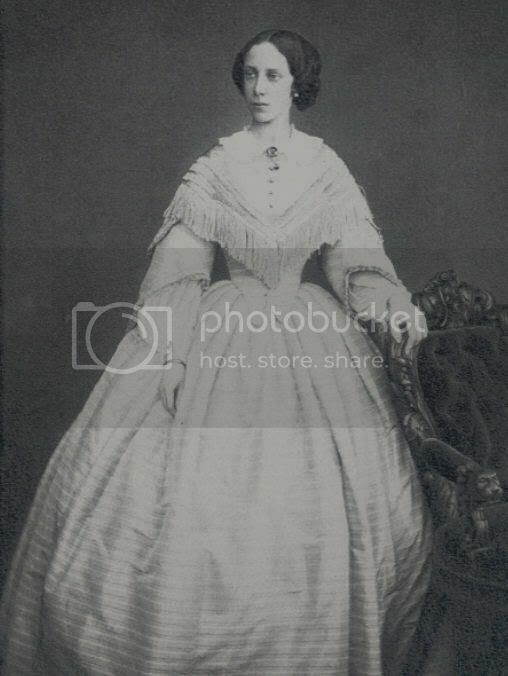 In 1869 Fürst Wilhelm of Wied wished to marry her,and dispite protests from Berlin(a Prince without any land marrying the offspring of the Prussians....now really.Nonetheless King Willem III approved of the marriage and Marie's engagement was announced in the same year.The wedding,however,had to be postponed twice,first because of the French-German war,and then because both Marie's mother and sister Louise,Queen of Sweden,died within a short period of time. The wedding finally took place at "De Pauw"on july 18th 1871. 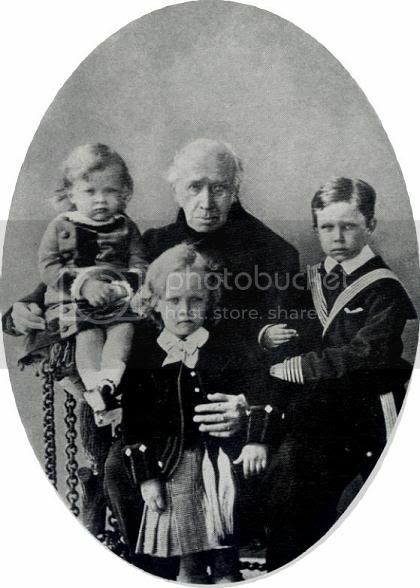 The couple lived at Neuwied Palace and was blessed with 3 sons and 2 daughters.Marie's sister in law was the legendary Carmen Sylva,sister of Wilhelm married to King Carol I,Marie's mother in law,was another eccentric,néé Princess of Nassau.Missy(the notorious blabbermouth)wrote about the quite bizar Wied family in which the prozaic Princess Marie stood out,she greatly admired Marie and described her as;"a tres grande dame,completely without any form of eccentricity". Marie and her family often visited Prince Frederik at "De Pauw"or stayed with her favorite aunt,Queen Sophie,at Huis ten Bosch Palace.The difficulties within the dutch RF (the unhappy marriage of Sophie and Willem III,ao)affected Marie deeply,and she and her husband represented the RF on many occasions in The Netherlands,and remained wellknown and respected figures here. The bond between the dutch RF and the Wieds became even stronger from the time Queen Emma married Willem III.Marie's mother in law was a sister of Emma's mother,they not only shared the same family background but also the same views in general.After grandduchess Sophie's death,Emma had a strong supporter in Marie,with whom she "talked about everything". 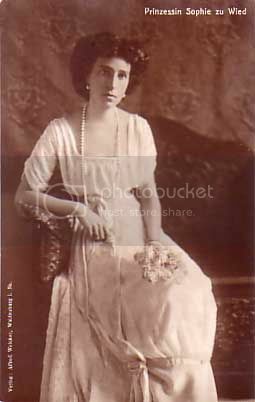 In the days of the engagement of Queen Wilhelmina with Hendrik,Emma wrote Marie how relieved she was her daughter was to marry and how she beamed with happiness.Marie must have frowned upon the news,as her own son,Wilhelm,was since long seen as a possible suitor for the young Queen.But,that was blocked by Emma. "Family ties were too close,and besides,A Wied wasn't good enough for a Queen". 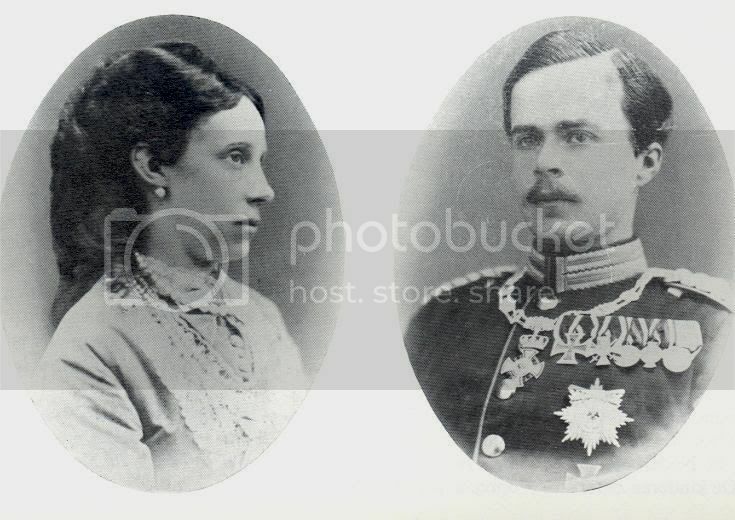 (The joy with which matchmaker Emma wrote her niece was totally misplaced as history would learn,soon).Wilhelm eventually married(1906) Princess Sophie of Schönburg-Waldenburg.Emma had more "whiffs"of Hoheitsfieber(a german expression,could be translated in superiority complex,to put it mildly)as she,Emma,also strongly disapproved of the marriage of Marie's son with Pauline of Württemberg,daughter of Emma's sister,as a Princess of the blood Royal was no match to the "simple" Wieds.This remark caused the Fürst of Wied to travel home highly irritated,right away after the Inthronisation ceremony of Queen Wilhelmina in 1898.Nonetheless,Queen's Emma and Wilhelmina attended the baptism of the couples firstborn at Potsdam,as Wilhelmina was the childs godmother. So,we have that bond between Marie and Emma,with Marie always remaining her kind self,and Emma,allthough seemingly friendly,was the umptiest country girl from germany that forgot where she'd come from.Seemingly friendly,but exceptionally formal,the latter was forgiven for the first,and Marie must have thought the same,and remained on friendly terms.Being Her Majesty in public was justified,but to remain as distant in private towards family members,shows how Emma was clinging on to her status,at all times,unable to lay down her Royal mask and to give herself openly.Not wishing to sound too harsh on Emma,it must have been extremely difficult to be in her position at a time women had to really "fight"to be taken seriously,and to have all the responsibility she was bestowed with.But she did revel in it at times,I suspect,and wasn't quite the distant aloof saintly lady at all times we dutch in general,think she was. 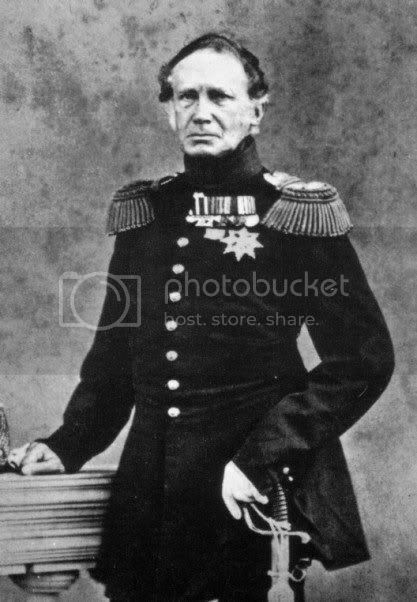 As the marriage of the young Wilhelmina remained childless for such a long time,(stillborn son and several miscarriages)Marie's son Fritz came in the spotlights,this time as a possible heir to the dutch Throne. (When Wilhelmina was ill with typhoid fever in 1902,the Prince had travelled to The Netherlands "to be at hand",just in case),furthermore Fritz's father in law,the King of Württemberg,had visited the Dutch Court at the time,and that only fuelled to the matter of Fritz's possibly becoming heir.That,however was highly frowned upon here,and deemed very undesirable,and it was with immens joy,and a sigh of relief,that dear Juliana was welcomed in 1909. 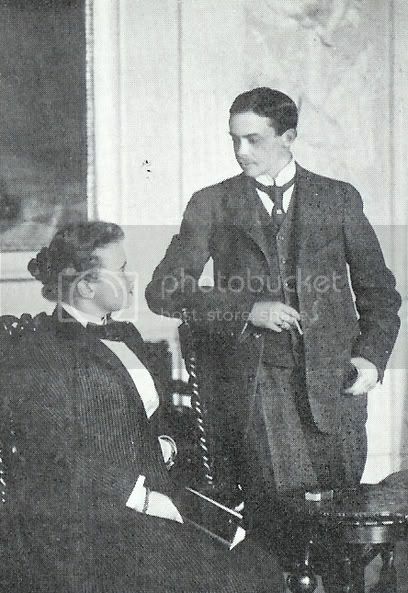 Fritz,Marie's eldest son,Fürst of Wied since 1907,and Pauline of Wied were loved family members,and visited Emma and Wilhelmina often.Pauline and Wilhelmina differed only 3 years in age,and became very good friends.They were both invited for the wedding of Princess Juliana and Fritz was to be a witness/best man for the Princess,but the Wieds had difficulties with the Nazi's and were not allowed to leave. The dutch "horsten" estates of Marie were up for sale in 1903,it was part of Marie's inheritance,as Wilhelmina got wind of it,she offered to buy,which she did.Part of the Horsten as we know it now is the "Eikenhorst",residence of The Prince of Orange and Princess Máxima. Marie's son Wilhelm,was bestowed with the (questionable..)honour of becoming Reigning Prince of Albania.Then as now still,a troublesome godforlorn piece of rocks and pebbles in the Balkan,then as now,no charm whatshowever,not from a landscape point of view,nor it's population,now and then,one of Europes poorhouses.Not to mention the backwardness.How on earth the position appealed to Wilhelm is lost on me,but others might clear that up. Lucien's postings about the Wied family were very interesting and highly informative to read. Thank you very much for sharing this information. Lucien: do you know how the relationship between the Wied family developed with the Dutch royla family during the reigns of Wilhelmina, Juliana up till now Beatrix? 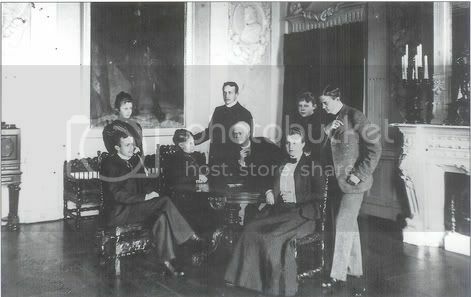 Fritz and Pauline zu Wied were,besides cousins,friends of Wilhelmina.Both were invited to Princess Juliana's wedding as Fritz was to be Juliana's best man,but like I said,the Wieds had troubles with the Nazi's and were not allowed to leave germany,and that was 3 years before the war broke out here. Wilhelmina,Juliana and Pauline kept close contact untill their death,Wilhelmina in 1962,Pauline in 1965,IIRC.The Wieds have been regular guests of the RF,still(Beatrix's Inthronisation,HM 60th birthday party-weekend,WA and Máxima's wedding etc). 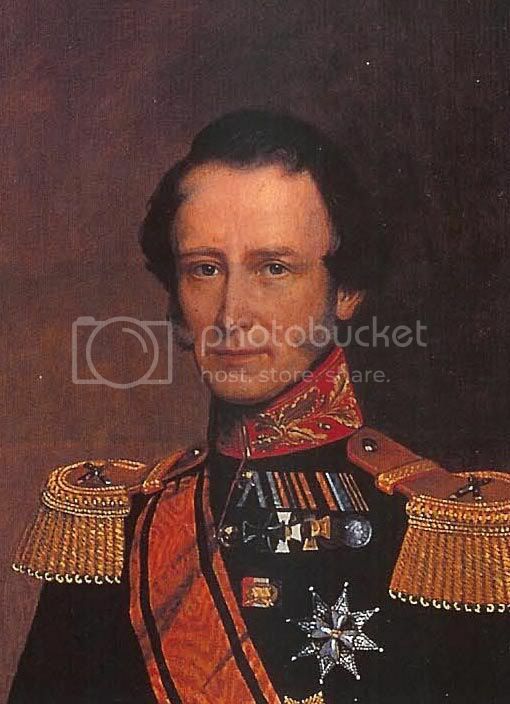 Just great!No words!Do you have some Wied portraits? 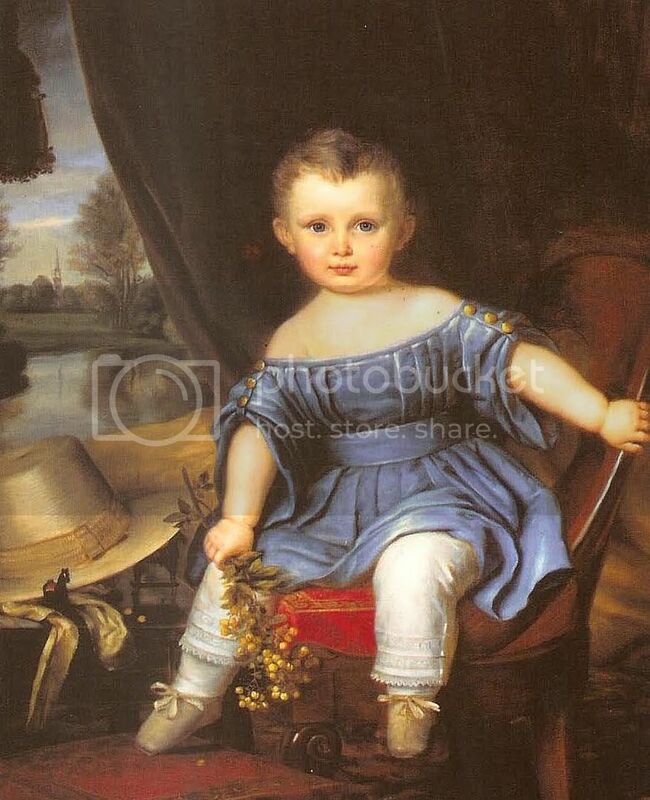 Thijs, are you sure it is Prince Willem Frederik (1836-1846) or his brother Prince Frederik, who died as a boy of 18 months (1833-1834) I this this boy looks a bit older, so it must be the first, but I just wonder..